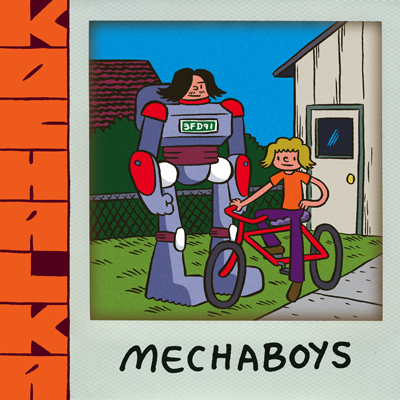 * Alex Hoffman on MECHABOYS by James Kochalka, calling it "an uneven comic that tries to be dumb funny, but ends up just being dumb." Hoffman also reviews RUNAWAY HEARTS by Sean Christensen, writing "There’s an easiness to the work that defies expectation." * Also on Sequential State, Shawn Starr reviews PERFECT HAIR by Tommi Parrish, "Quiet moments and even quieter gestures. Perfect Hair lives in these." * Greg Hunter reviews SABRINA by Nick Drnaso which "provides a space apart from the internet in which to contemplate how people process tragedy through the internet — including the failures of empathy that such processing often entails." * Rob Clough on I HATE YOU -- YOU JUST DON'T KNOW IT YET by Nadine Redlich, a book "balanced between running gags that skewer platitudes, funny drawings of people with bulbous noses, and genuine expressions of rage, loneliness and despair hidden in the jokey quality of the material. " * Ayana Arnette Underwood writes about the law of attraction in ANYA'S GHOST by Vera Brosgol. * John Seven reviews SONG OF AGLAIA by French cartoonist Ann Simon which traces "the fairy tale life of a water nymph as she finds herself outside the world she was raised in, facing cruelty and working to overcome the darkness of the world." * Henry Chamberlain on THE WINNER by Karl Stevens in which he sees "an artist/writer of high caliber flexing his muscles and testing things out." * Francesca Lyn writes about Identity, Ephemera, and Nostalgia in Whit Taylor’s WALLPAPER which "demonstrates how small moments and unanswered questions can have a powerful emotional resonance." * Ryan C. on Jerome Ruillier's new book THE STRANGE, noting "The struggles here are authentic. The fears palpable. The loneliness, desperation, alienation, disaffection far more personal and immediate than the third-hand narrative accounts would lead one to believe — and the same is true of the acts of kindness, generosity, and empathy that shine through both the darkness of prejudice and the dimness of uncaring bureaucracy." As well, Ryan reviews KINGDOM/ORDER by Reid Psaltis for The Comics Journal. * While his writing is mostly about superhero comics, it's so great to have one of my favorite critics, Colin Smith, back up and writing again -- he's started a new site called THEM DARNED SUPERPEOPLE which you should bookmark right away so as to enjoy all Smith's great writing. 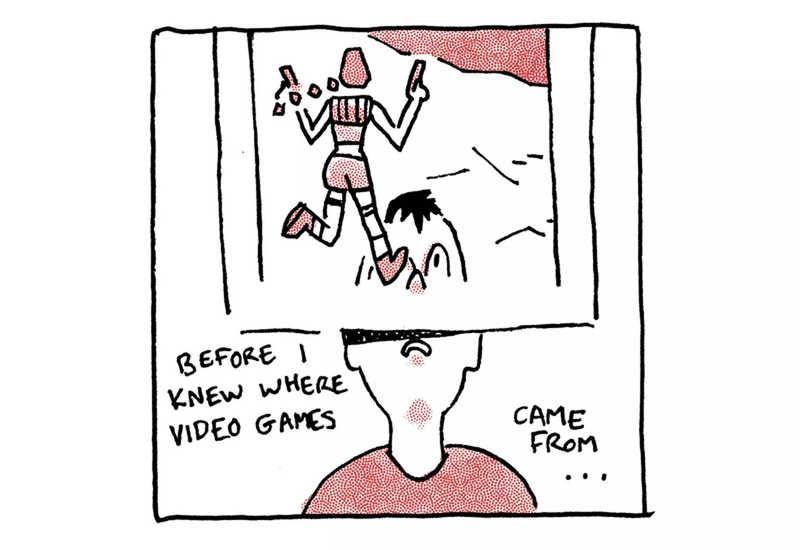 * Carta Monir has a comic on Polygon about MAGIC POCKETS, "A forgotten DOS game that helped [her] cope with childhood." Like most things Monir does, this one is pretty spectacular. 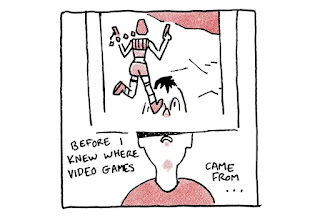 * TWO new comics by Seo Kim on Vice -- one called EGG PRAYER and another called TRIPLETING. Have I mentioned in the past how much I love Seo Kim comics? * Finally, one of my former students (who's also the son of one of my dear friends) needs a BONE MARROW TRANSPLANT. The family has put together a Facebook Fund Raiser to help offset the tremendous costs associated with such a procedure. I hope that you might consider kicking in a few bucks to help. Click HERE for the link.